The Department of Labor (DOL) issued its December labor report today. If you’re looking for some light reading, click here to access the full report. Depending upon your perspective, expectations and analysis, the report can be seen as positive or troubling. It’s good that 113,000 new private sector jobs were created, but most analysts and economists expected the number to be at least 147,000. On average, there were 128,000 new jobs created in each of the past three months. However, this is roughly the number of new jobs required to keep pace with the population growth. The four-week average of new jobs claim is approximately 411,000. Economists describe modest job growth when the number falls below 425,000, and many believe it must drop below 375,000 to see any appreciable change in the unemployment rate. The 0.4% decline in the unemployment rate is primarily attributable to a change in the way the DOL calculates the rate. The key driver of the decline is the exclusion of people who have stopped looking for work. Listen carefully to the pundits and politicians. Many will trumpet the decline as a sign that their policies are working. At the same time, they’re cagy enough to proffer a warning not to expect the unemployment rate to dramatically decrease any time soon. Even with the current job-growth trends, most economists don’t expect the unemployment rate to drop below 9% until 2012. The reason – as the job market improves those who have given up looking for work will return to seeking employment. Once they resume their job search, they will be included in the unemployment stats and will be counted as unemployed until they find a job. 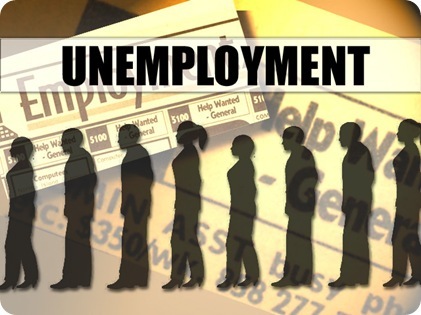 Bottom line… if you’re unemployed, discouraged and not actively looking for work, you’re not counted as unemployed. You’re only counted if you’re actively seeking employment. The unemployment rate is only an estimate, and it’s acceptable for the DOL to change the methodology. However, I think it’s disingenuous to argue that things are getting much better when all you have done is change a statistical method and exclude a certain group of people. Truthfully, no one really knows what the unemployment rate really is. However, the expectation that the rate isn’t going to change significantly in the near term, despite positive job creation numbers is a tacit acknowledgement that the rate is higher than 9.4%, maybe much higher. Thanks for this post. I most surely agree with what you are saying. I have been talking about this subject a lot lately with my father so most probably this will get him to see my point of view. Fingers crossed! Just take the numbers they post and double them if you want an accurate figure. They don’t include the millions of poor suckers that took the gov’t grants to go to college who will also borrow money to finish their “higher” educations only to discover there won’t be jobs for them by the time they graduate. Around here thousands dove into nursing, now there are too many graduates and no jobs closeby and the starting pay is plummeting when there are openings. Starting pay for nursing jobs $12 on the worst shifts in larger cities, you can’t live on it in those places. So if you drive 100 miles to get there at $3 gal fuel , you do the math.